UN member states must advance in achieving total elimination of nuclear weapons, UN Secretary-General Ban Ki-moon said in a statement on Saturday. MOSCOW (Sputnik) — The statement coincided with the International Day for the Total Elimination of Nuclear Weapons declared under a UN resolution in 2013. "Unfortunately, there are growing rifts between Member States about how and when to achieve [the goal of a world free of nuclear weapons]. 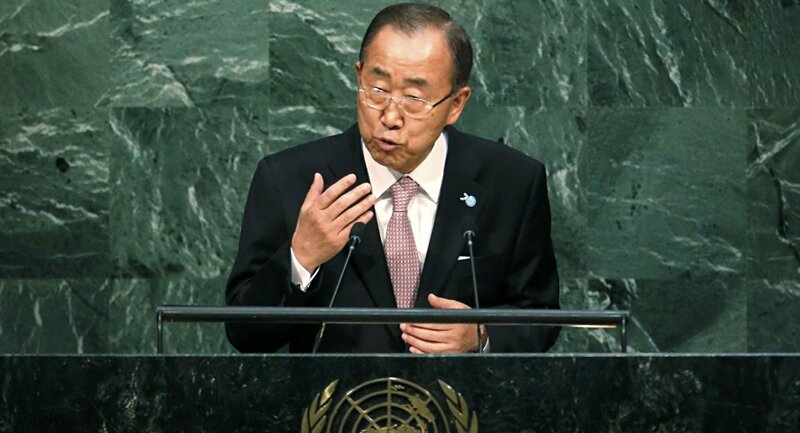 I call on all [UN Member] States to engage constructively to find a way forward," Ban Ki-moon said in the statement. Ban Ki-moon noted that elimination of nuclear weapons would also provide resources to implement the 2030 Agenda for Sustainable Development adopted at the UN Sustainable Development Summit taking place on September 25-27. Total elimination of nuclear weapons was the subject of the first UN General Assembly resolution in 1946. The issue has been constantly on the agenda of the UN General Assembly since 1959 along with general and complete disarmament. According to the UN estimates, countries around the world possess some 16,000 items of nuclear weapon. As of 2015, not a single nuclear weapon has been physically destroyed in accordance with any bilateral or multilateral treaties, and no negotiations on nuclear disarmament are being conducted at the moment.